Santa Monica Seafood is proud to announce RSVP support for Makata, a community based conservation organization working towards the conservation of endangered leatherback sea turtles! Leatherback sea turtles are the largest of the world’s sea turtle species and are listed as critically endangered on the World Conservation Union’s (IUCN) red list. The Pacific leatherback population that we find in our local waters breed in Papua New Guinea and Indonesia, making an amazing 13,000 mile journey across the Pacific Ocean to feed on the jellyfish that are rich in the California Current. Due to their unique migratory patterns and life history, pacific leatherback sea turtles face many threats including illegal poaching of eggs on nesting beaches, coastal pollution, ingestion of plastics, entanglement in abandoned fishing gear, nesting beach habitat destruction and incidental take in pelagic fishing gear. In the last 25 years, Pacific leatherback sea turtle populations have declined as much as 80-90%. 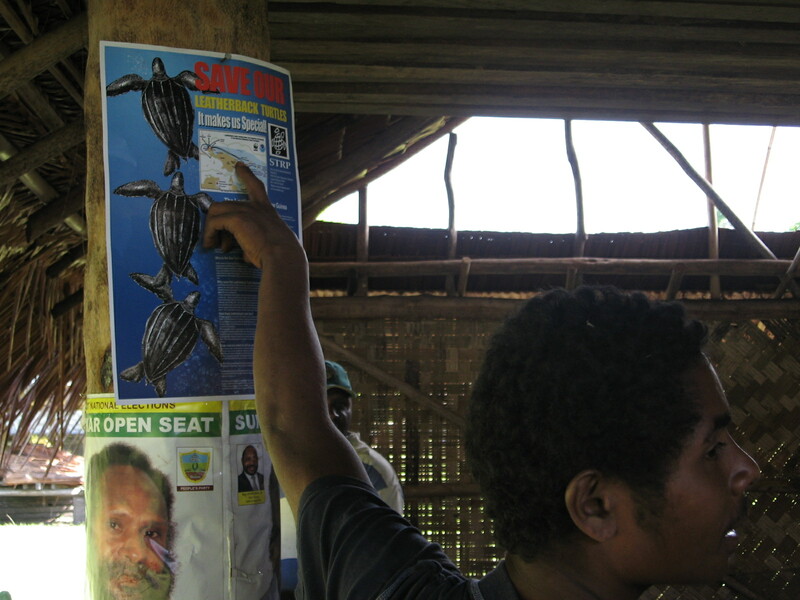 Makata, whose name means “Sea Guardian” in the local Bel or Takia languages of Madang, works with coastal and indigenous island communities in Papua New Guinea to restore and protect these critically endangered leatherback turtles. Their efforts involve protecting nesting beaches and marine waters to maximize hatchling production, facilitating educational awareness programs, media campaigns, resource mapping and boundary surveys. They have also implemented a tagging and monitoring project within their local communities. 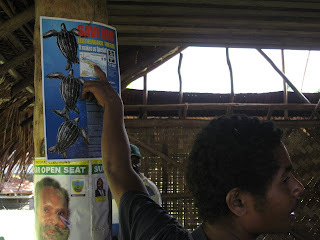 Santa Monica Seafood’s RSVP program has a unique opportunity to protect the future of our local leatherback sea turtle population by supporting Makata’s conservation efforts on leatherback nesting beaches across the Pacific in Papua New Guinea. We are very excited to be supporting the efforts of Makata and the conservation of one the oceans oldest, and now most imperiled, species. To follow Makata’s efforts to protect the leatherback sea turtle please visit their blog or watch a video about the project!